Over the course of human history, the sciences, and biology in particular, have often been manipulated to cause immense human suffering. For example, biology has been used to justify eugenic programs, forced sterilization, human experimentation, and death camps-all in an attempt to support notions of racial superiority. 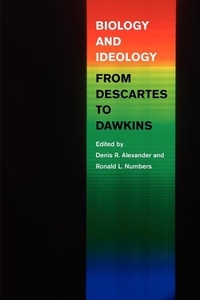 By investigating the past, the contributors to Biology and Ideology from Descartes to Dawkins hope to better prepare us to discern ideological abuse of science when it occurs in the future.